The Design Museum, located just ten minutes away from the iconic Tower Bridge presents a limited edition exhibition honouring the works of the magnificent French shoe designer; Christian Louboutin. The exhibition features twenty years of Louboutin's designs and inspirations, revealing the artistry and theatricality of his shoe designs from stilettos to lace-up boots, studded sneakers and bejewelled pumps. Embrace the whirlwind journey into style, glamour, power, femininity and elegance. Shoes, glorious shoes! Kate and I are huge fans like almost every girl, so you can imagine how excited we were when we saw the huge sign outside the Design museum. As we began to head towards the exhibition we saw shoes hanging from hoola hoops attached to the ceiling this just added to the excitement. Once in side we were in paradise when we entered into the Louboutin wonderland, greeted by hundreds of exquisite shoes all different shapes and sizes spanning a grand total of 20 years since Louboutin's first store in the fashion capital Paris opened. Using funfair carousels and a giant red sole to display these works of art, this exhibition is not to be missed but it should come with a warning as this will seriously damage your credit card as it will have you running to your nearest Louboutin store desperate to get a pair of these beauties! To finish there is a fantastic video of Christian Louboutin's muse Dita Von Teese, that truly gives you an insight into the inspiration behind the shoes. Interestingly Louboutin admitted that he could not single out a favourite shoe saying ‘That’s very hard, every different shoe has a different story behind it. I like high shoes though, the higher the better'. 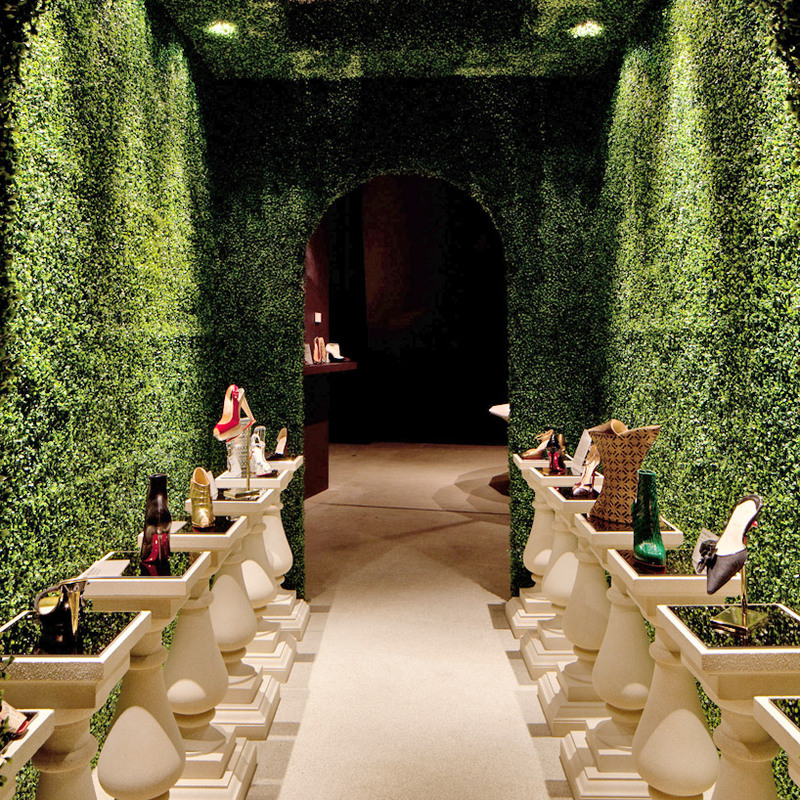 This exhibition is not one to be missed by any shoe fan! I have included a teaser trailer for you all to enjoy! Tickets for the exhibition can be purchased in advance from Ticketweb (booking fee applies). If the allocation for advanced tickets is sold out on Ticketweb, you can still purchase tickets at the Design Museum on the day. Revive Wednesday 6pm-9.45. Every Wednesday throughout June.